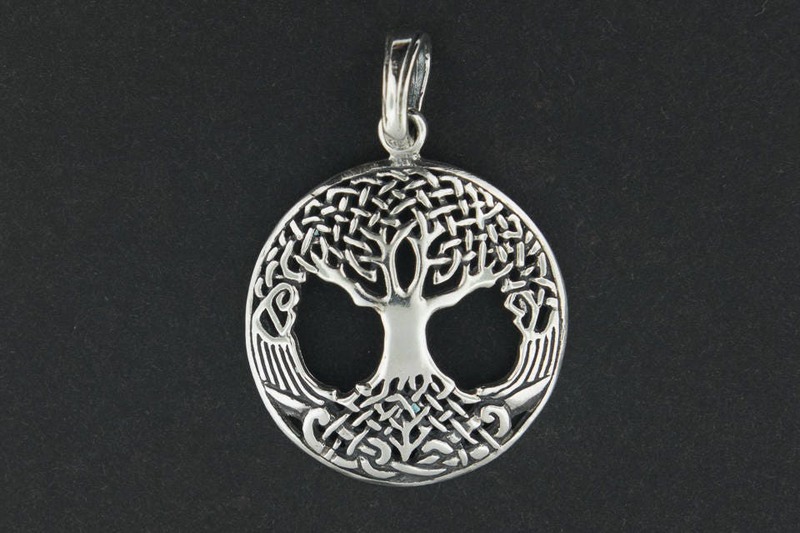 A popular design, this handmade sterling silver pendant is a remake of a tree of life pendant based on the Yggdrasil. the Tree of Life from Norse mythology. The knot work in the branches make it so beautiful. The pendant is 3cm long plus the bail and 2.7cm wide. The pendant is slightly domed. 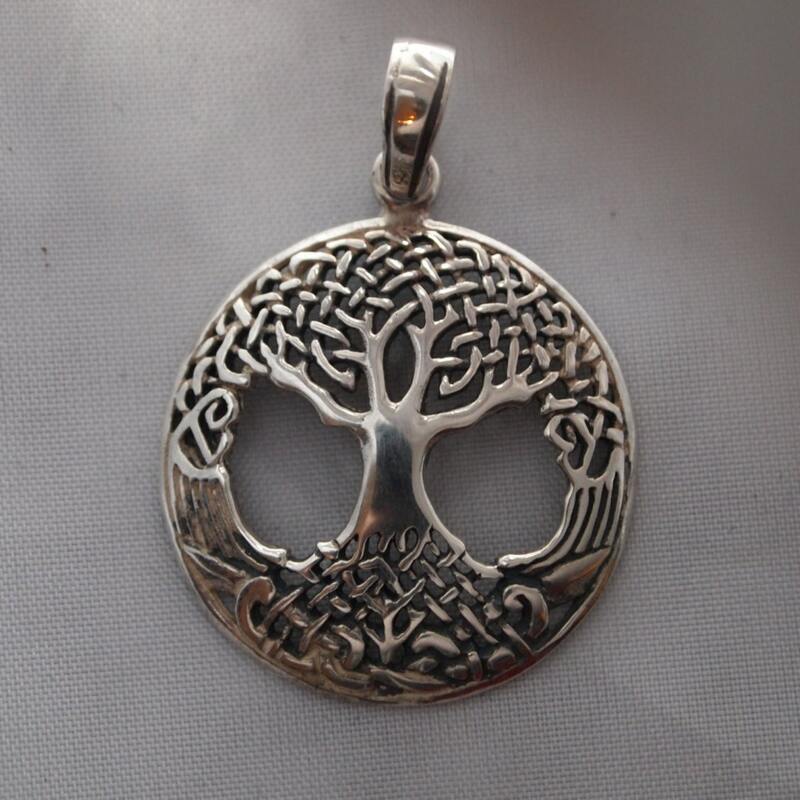 The pendant is exactly as shown in photo and I have had compliments on it already when I have worn it. RAPIDE ET PROFESSIONNELLE,RECOMMENDE A TOUS,BEL LE OBJET,MERCI. It arrived on time, but thought it would be bigger and more bronzey for some reason. My bad. Pendant arrived today- 24 June. It is lovely.